This is the third consecutive year I have been making logcakes for my extended family and Susanne's family. It seems to have become a tradition 😜! 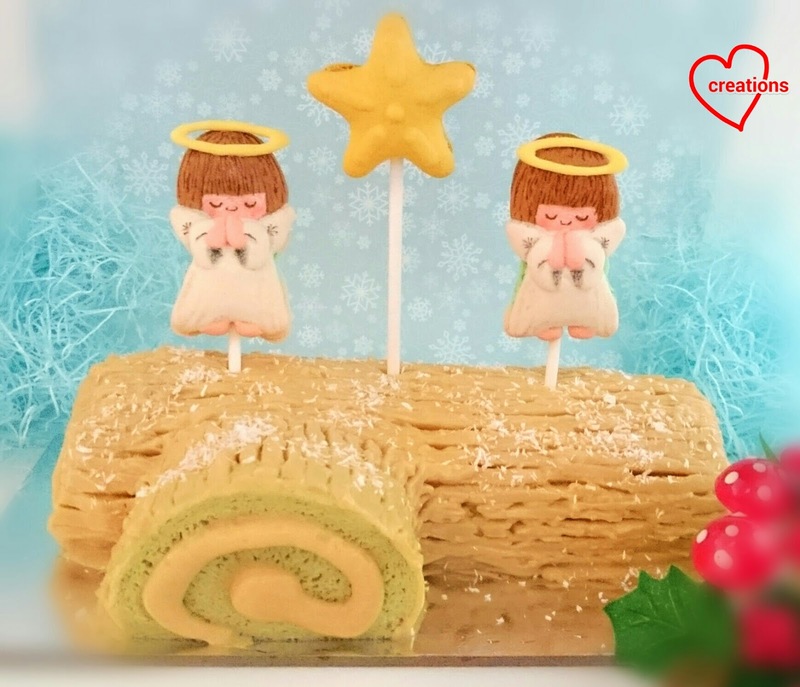 As usual, my preference is to make Christian themed Christmas bakes for my loved ones because that's what Christmas is really about -- good news of God's salvation plan through the birth of Jesus. I have decided to make angel macarons to adorn the Pandan kaya gula melaka sponge and pudding logcake that I have made. 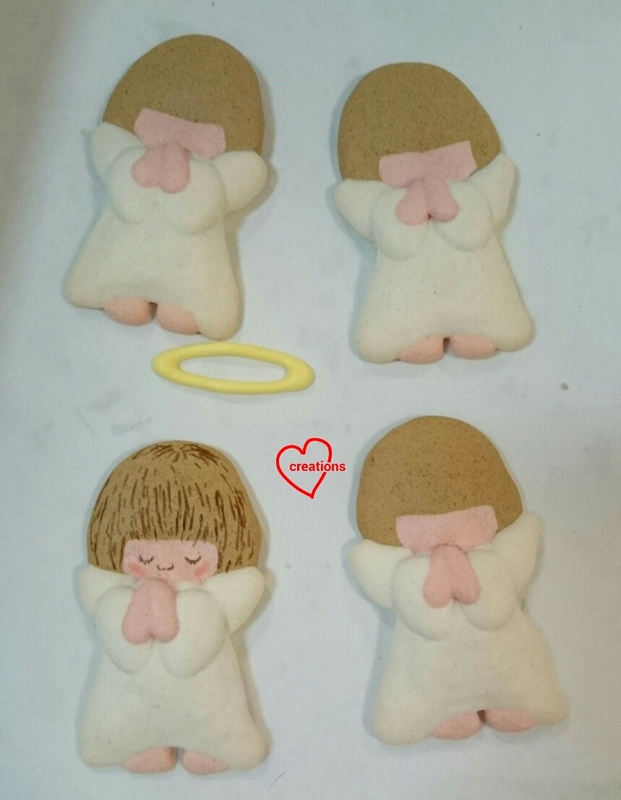 Why angels? Because they brought the joyous news of Jesus' birth to the shepherds. Why Pandan kaya gula melaka flavour? Because these were very very well received by both families last year! 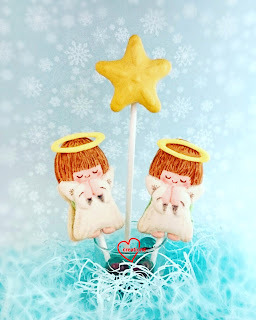 The angels with the star were so dreamy and cute I had to take a shot of them alone! Recipe and assembly instructions of the log cake can be found here. I followed it almost exactly because it's really that good. I get rave reviews not just from my family and Susanne's family, but all the people who have tasted it. 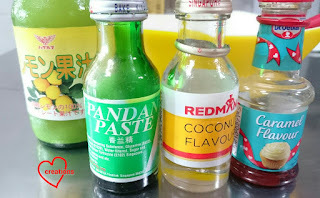 I used coconut oil instead of canola oil and used a drop of Pandan paste instead of 1/4 tsp to let the natural Pandan colour shine through. The cake tastes best after 2-3 days of storage. 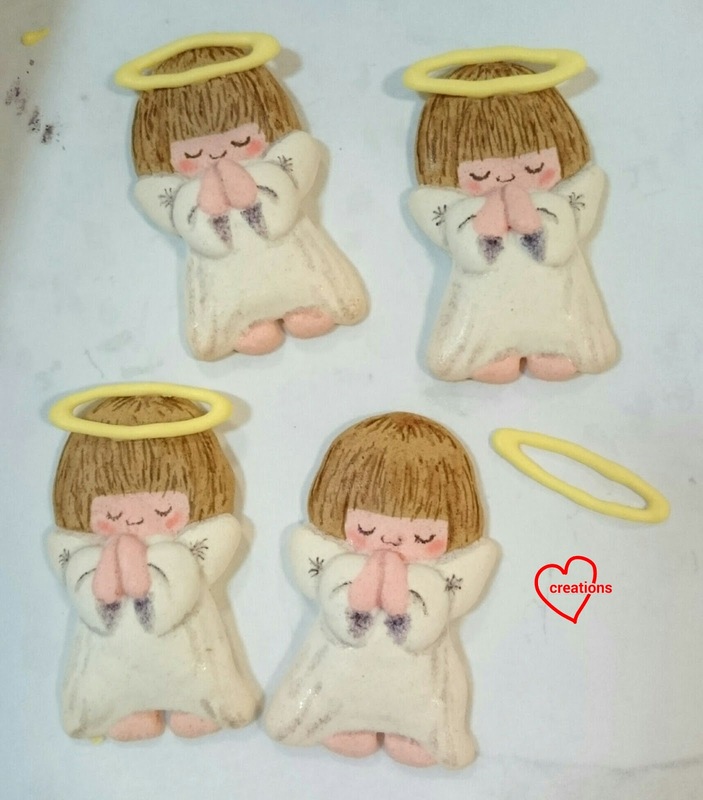 What's new is the design of angel macarons and type of filling so I shall write in detail in this post. I made the star macarons as cake deco last year. It can be found here. I used the reduced sugar macaron shell recipe for the macarons. 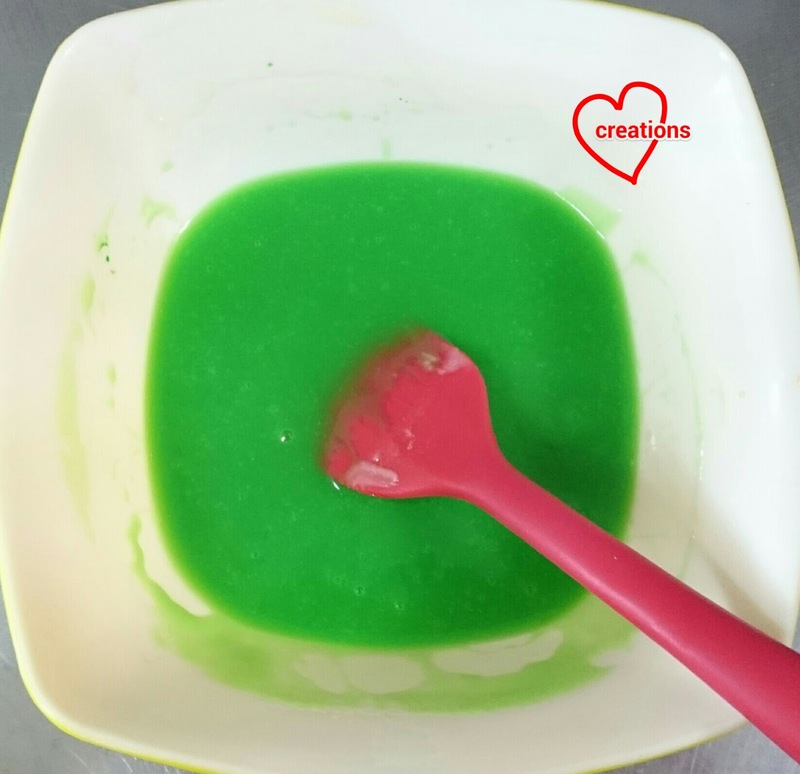 Both regular and reduced sugar recipes can be found here. You may refer to my Creative Baking: Macarons book for a systematic presentation of the basics and complex shaped macarons. 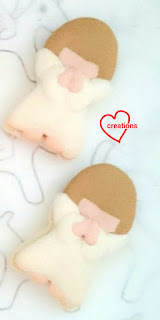 You may refer to my video tutorials for macaron basics and piping of complex shapes on the blog too. Piping the angels involves quite a long sequence of piping as certain parts have to dry partially before adding the next part. Ratio of white:brown:beige is 5:2:1 for the respective coloured batter. 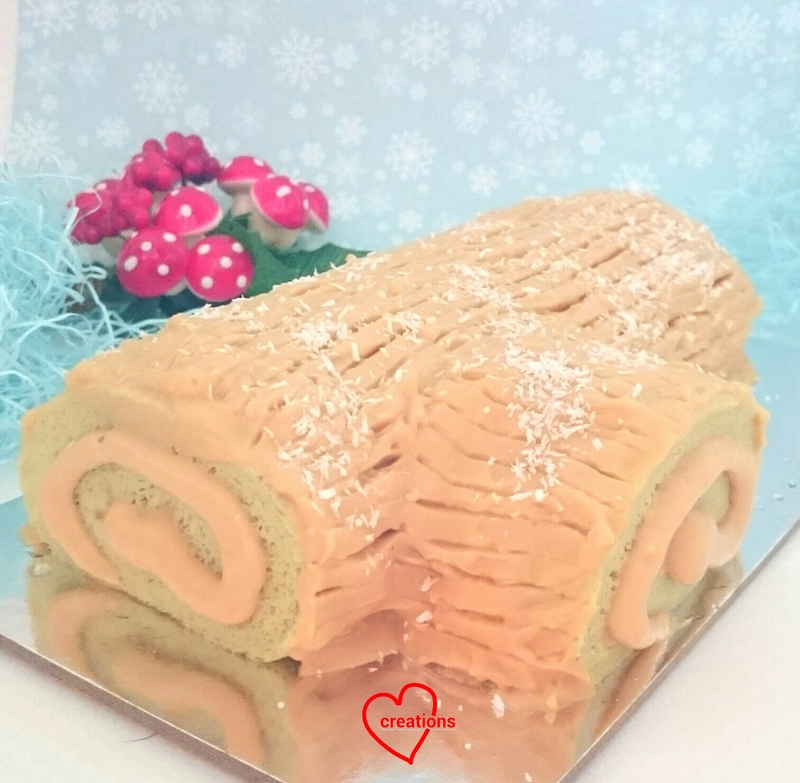 I used a little dutch processed cocoa powder and a little orange gel food colouring for brown. I used a tiny dip of orange colouring to create beige. Some white gel colouring was used to keep the white on the angel white too. Freshly baked shells! 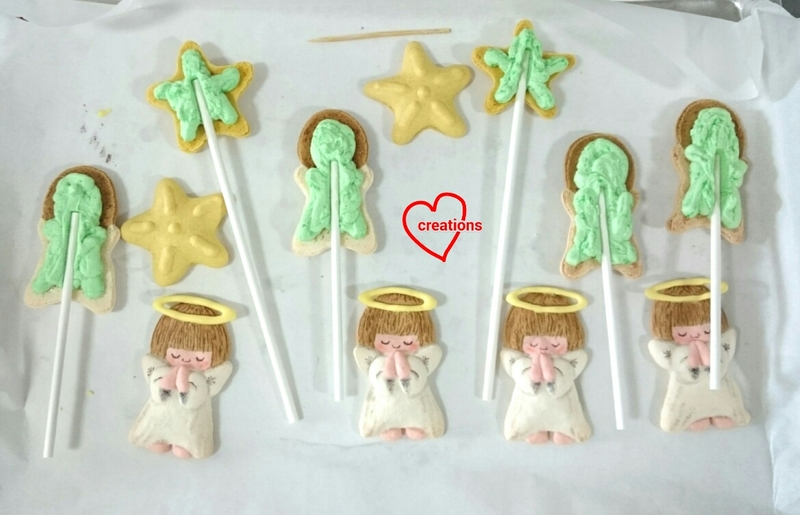 I baked these along with other designs...That's why the unicorns in the background :p.
The halo is made from royal icing that is piped on baking sheet and dried thoroughly in the oven using the fan mode at 60°C for an hour or until dry. Carefully peel the baking sheet away from the halo. The icing is fragile so handle with care. 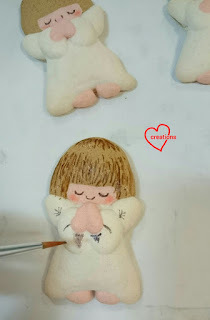 Add on details using edible marker. The rosy cheeks were created by dabbing on a little peach lustre dust with a small brush. Use a fine brush dipped in vodka to wash out the markings from edible marker to create some shading effect. Stick the halo on using some royal icing and let it dry thoroughly before filling the shells. 1. Melt chocolate, butter and shortening in a microwave safe bowl at medium power for 20 seconds. Stir and repeat until everything is melted and smooth. Alternatively, you may use the double boiling method. Be careful not to overheat the white chocolate or it will harden. 2. Heat cream in a small saucepan until it starts to bubble. Pour into bowl with melted white chocolate. Use a spatula to stir in one direction until well combined. 3. Add salt and stir until dissolved. Add all the flavourings and lemon juice one at a time. Stir until well combined. 4. Freeze for 2 minutes and whip with spatula until smooth. 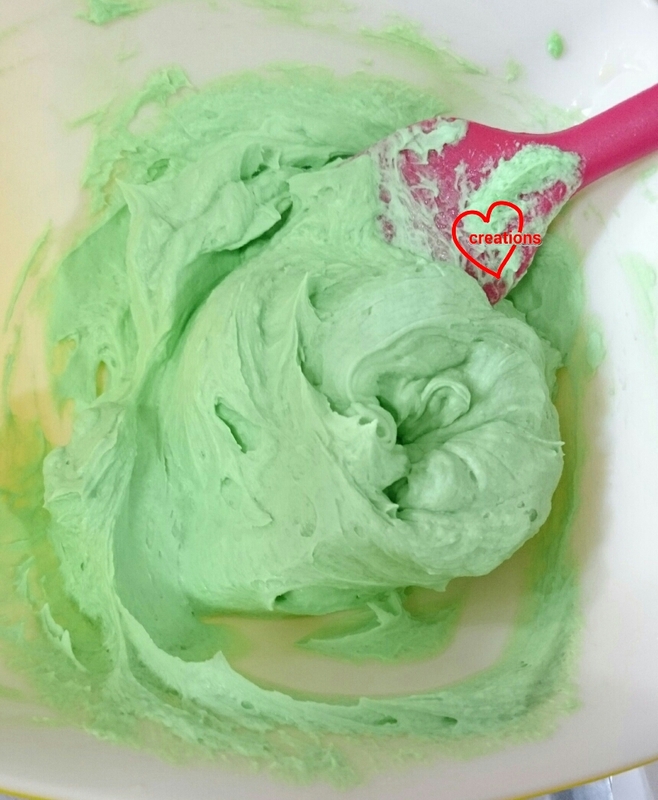 Freeze for 1 minute and whip with spatula again until smooth. Repeat until texture is even and creamy. You may use an electric mixer to whip at low speed if you don't want to work out your arm muscles. Transfer ganache into piping bag and pipe onto the macaron shells. Store the assembled macarons in the fridge for at least 24 hours before serving. Store the macarons separately from the logcake as the moisture from the cake will turn the macaron shells soggy very quickly. Any unused ganache may be stored in the fridge for a few weeks or in the freezer for a few months. Just bring it to room temperature before using.